Chevrolet Batman Batmobile Replica. Finished in none other than Black paint with a matching black interior. This running and driving replica is based on a Chevrolet chassis. 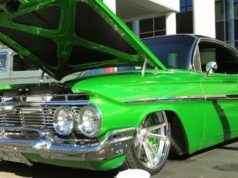 Built and molded from an original car, this replica has the look and feel of a real movie car. The interior is very well done with screen accuracy including props like multi-lever shifter, gauges, lights and switches. 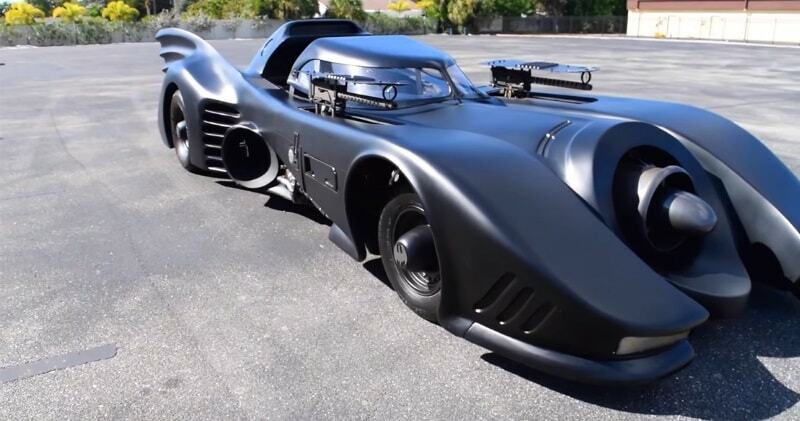 This is one of the most iconic Batmobiles ever made. The turbine front and the flame throwing back make this vehicle really stand out.To own one of the vehicles used by Michael Keaton and Kim Basinger in the 1989 Tim Burton-directed movie is pretty cool.